Your network observes various events every hour, but the majority of these events are not relevant. Your information assets are often exposed to risks over Security lapses that demand real time responses without any compromise. It is important for you to identify all events that pose such risks. Today, we will discuss the Importance of Event Log Monitoring Software Tools to Protect Critical Business Data. Switches that detect events, routers, VPNs, IDS/IPS and network firewalls are amongst a wide range of technologies that you may have invested in. Log monitoring is a common thing and is extensively generated by all non-critical servers, business critical systems, endpoints and security appliances within an organization. For identifying the real events that raise security concerns within your organization, it’s important that you identify the false positives. Any correlation with false positives needs to be analyzed as soon as possible. This is one reason why the continuous monitoring of raw logs is so essential. Your organizational infrastructure maintains various formats for alerts and logs. The tasks of interpreting and reviewing these logs are assigned to resources that possess special skill sets. A log monitoring service provides real time response to threats and anomalies, as it monitors and identifies them 24x7. Its primary objective is to utilize all information asset and advanced Technology for analyzing alerts and logs, correlating them and monitoring them. All malicious activities are immediately tracked and responded to by integrated security centers that hire highly skilled security professionals. Log monitoring protects an organization against both internal and external threats. Before any damage is caused, this process helps identify and prevent even the zero-day exploits. The integrity of critical data is preserved through server log monitoring, as per the guidelines and regulations set by the industry. This process is time-intensive and is automated by some log monitoring services. Real time audition of server logs help in identifying and alerting you of any event that seems non-compliant. All of your critical server activities can be shown in reports that are digitally signed; compliance controls may even be demonstrated very easily. Most of the emerging and identifiable threats within your infrastructure can be prevented in the real time by your log monitoring services. Monitoring events worth billions each day tends to be rewarding for the professionals, as the visibility of global threat strengthens the counter threat platform. Threats that are either approaching or known are prevented effectively by studying the real time experiences shared by other professionals. The Security of business assets that possess critical information is always of great concern for any organization of good repute. Thwarting malicious threats tends to become easier when you develop countermeasures driven by human intelligence. Such measures make the most of technologies that run on futuristic platforms and are capable of tracking emerging traffic and malicious threats very effectively. It is truly important that your security experts are qualified and capable of thwarting any malicious activity that they track during the course of regular monitoring. 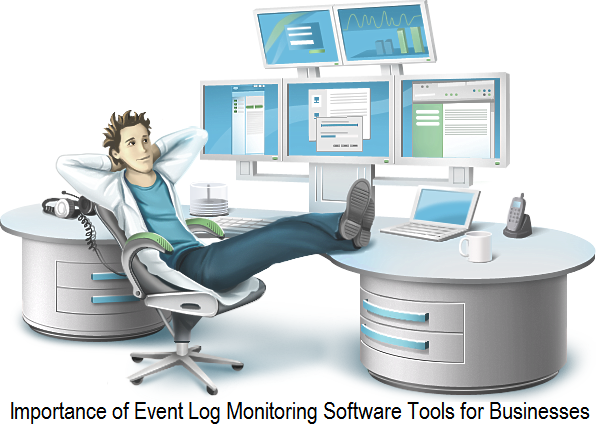 Log monitoring is customized to the specific monitoring requirements of an organization. It may be tailored to meet long-term interests by identifying certain events of importance and reciprocating in accordance. Various processes of escalation can easily be customized to your ongoing processes regardless of whether they are meant for individual devices or a certain asset group. Examiners, auditors and target audiences come to know of security and compliance control measures, when you share the custom reports from time to time.